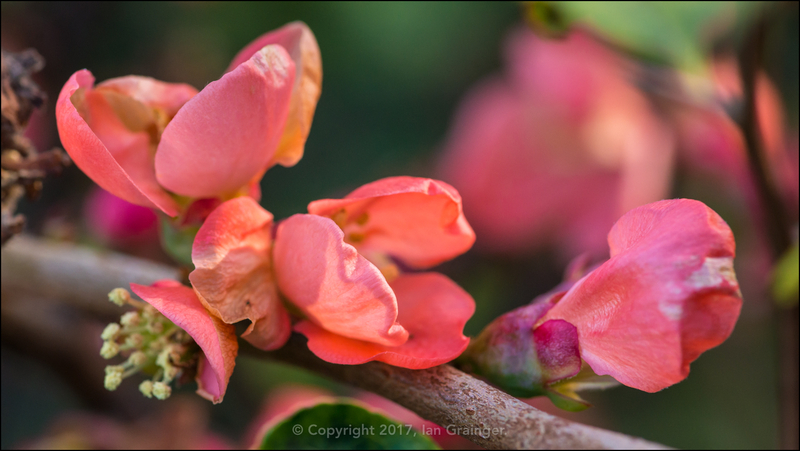 It was a beautiful cold and crisp morning for my weekly wander around dad's garden on my photo shoot this week, and there were quite a few subjects that I wanted to point my camera at. 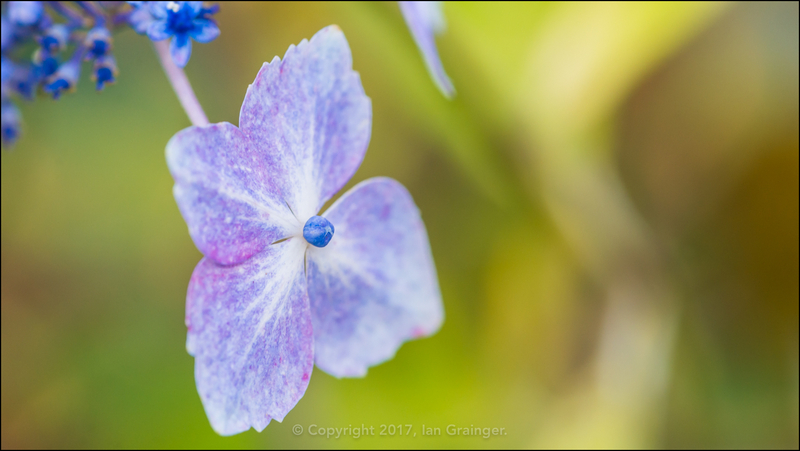 I started off with this Lacecap Hydrangea (Hydrangea macrophylla) bush bract, which was one of the final bracts to still be showing some colour. 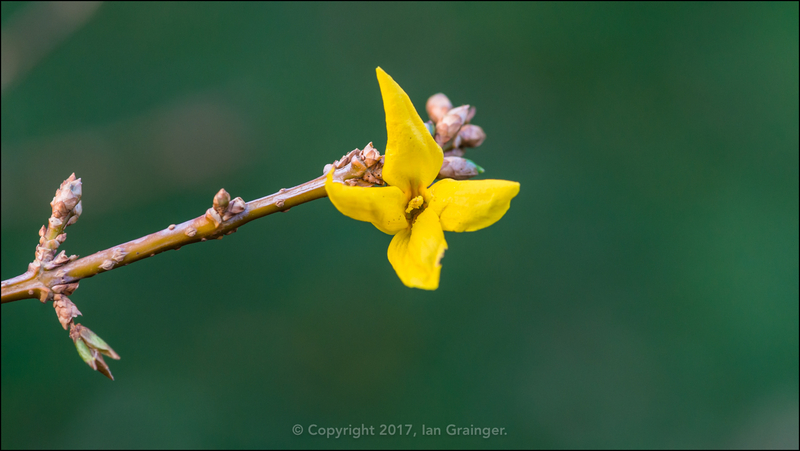 I was then surprised to see how early the Forsythia (Forsythia intermedia) bush had begun to flower. This had looked fabulous back in March, and hopefully would be looking similar early next year. As it was, there were only a couple of flowers open at the moment. 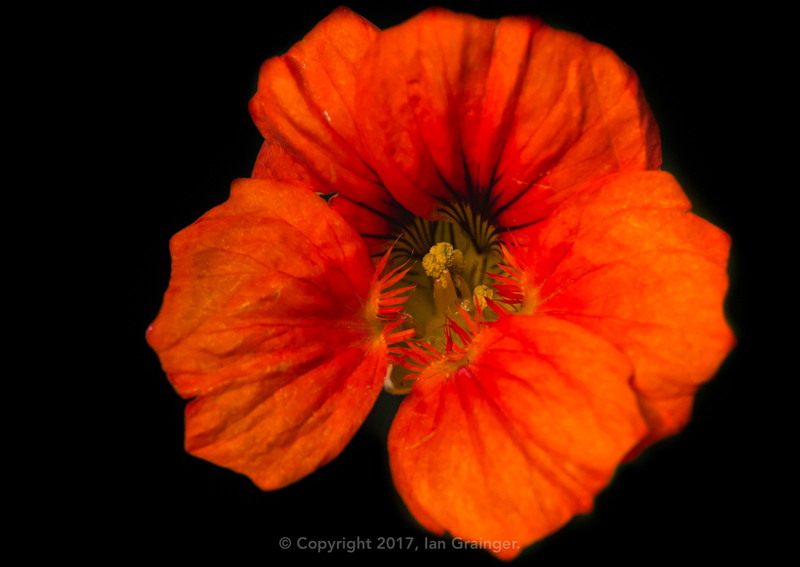 Another surprise came in the form of this Nasturtium (Tropaeolum) bloom. I thought the Nasturtiums had been killed off by the frosts we'd had a few weeks ago, but obviously they were more resilient than I thought. 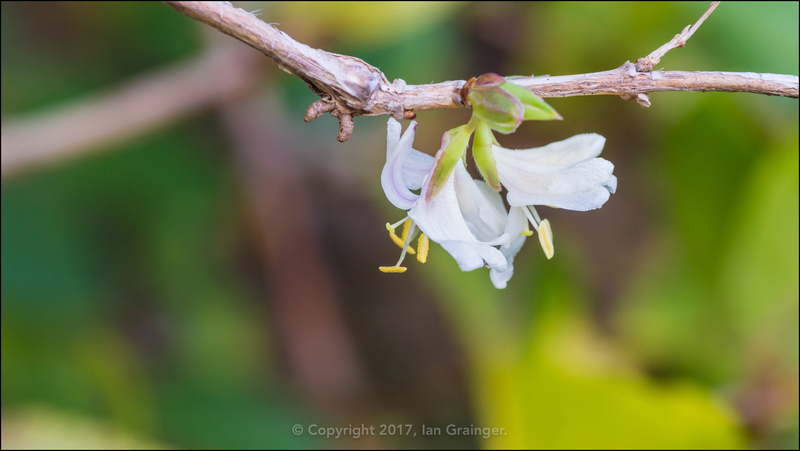 Meanwhile, another Winter Honeysuckle (Lonicera fragrantissima) bush had begun to flower, and this one was smelling divine. 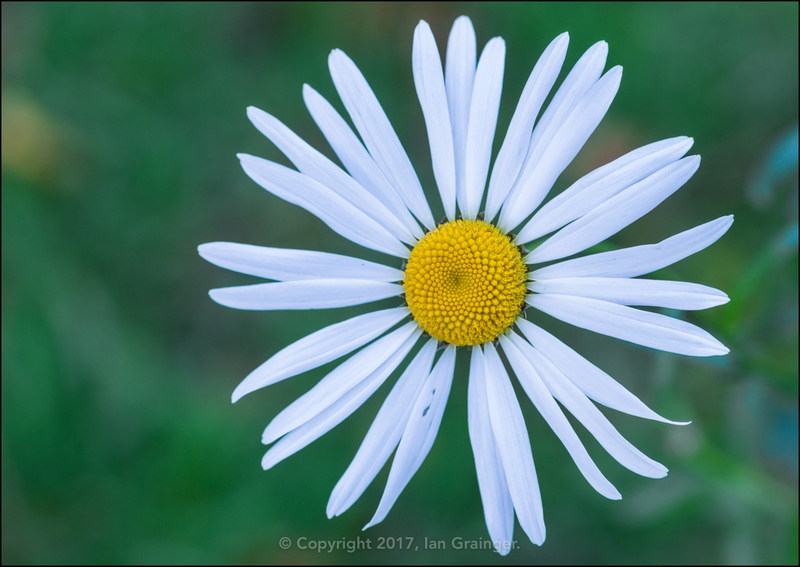 ...and despite me reporting the demise of the Oxeye Daisies (Leucanthemum vulgare) on several occasions over several weeks, they were still producing flowers. 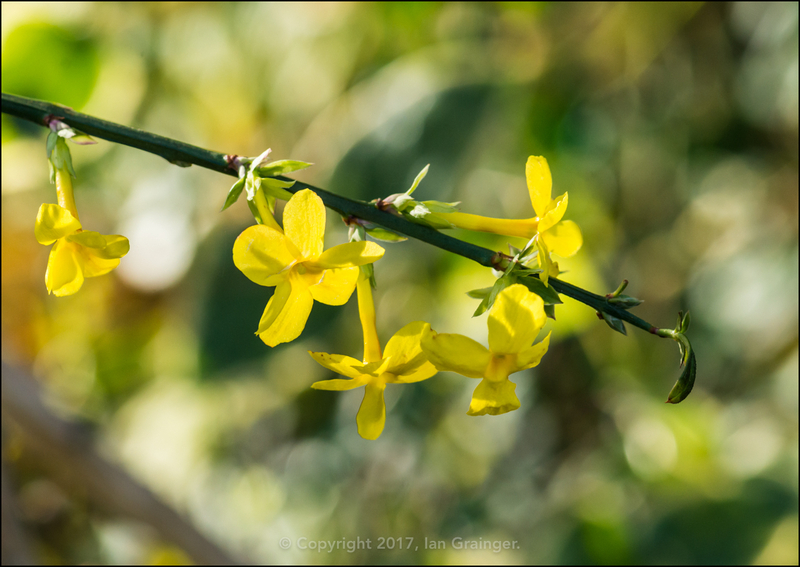 The Winter Jasmine (Jasminum nudiflorum) always looked its best when it was being backlit by sunshine, and on Sunday morning it appeared to be twinkling throughout a hedgerow. 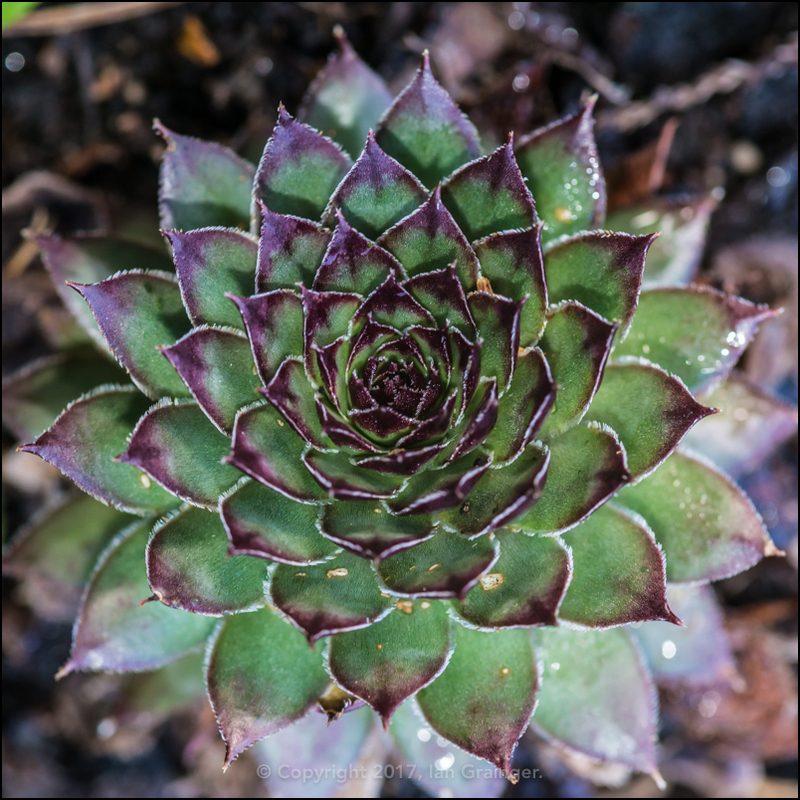 The Houseleeks (Sempervivum) were continuing to put on a good display, and were filling up their pots nicely. 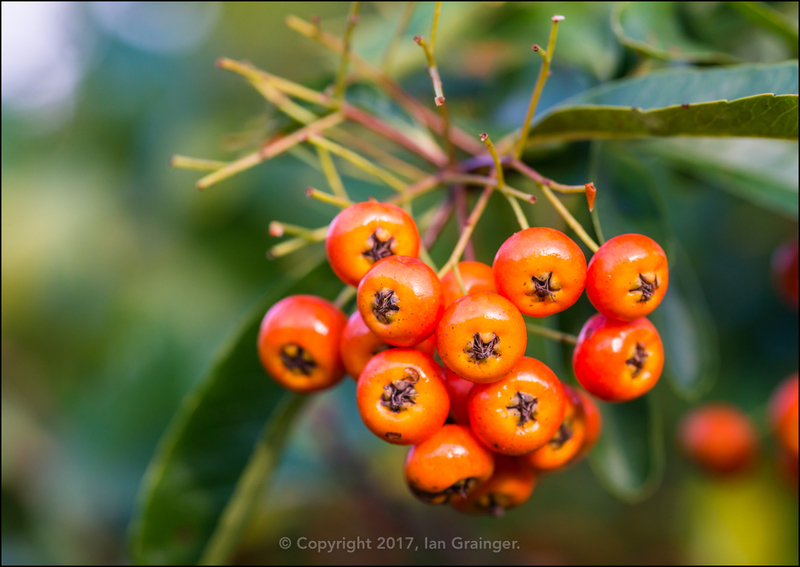 The Blackbirds had finally found the Firethorn (Pyracantha) bush berries, and were stripping the branches of the bush from the top down. 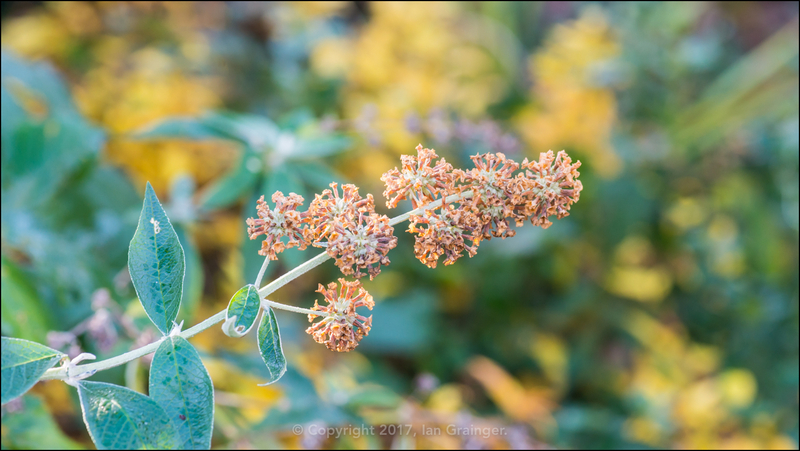 The large yellow Butterfly Bush (Buddleia) had finally succumbed to the weather, and had finished flowering for the season. 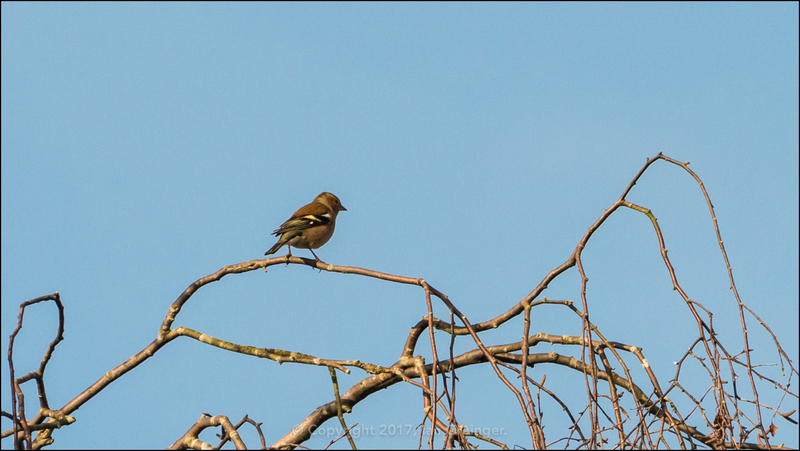 Here is how the same branch looked in late October. 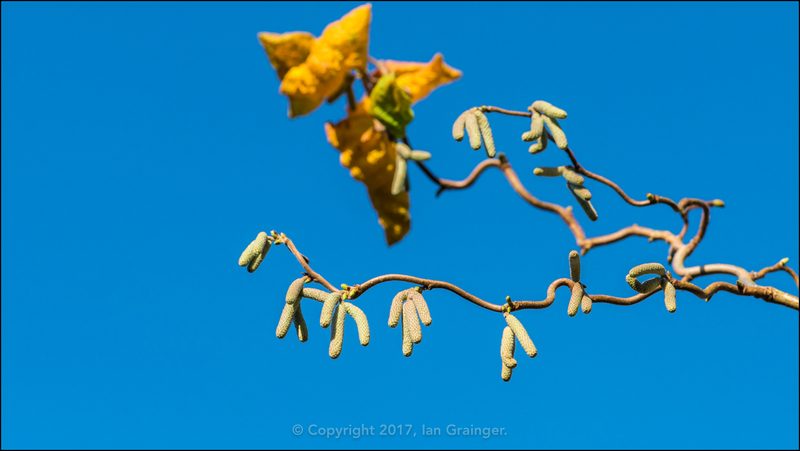 Pointing my camera skywards, apart from noticing the beautiful blue sky, there were also quite a few catkins to see that were forming on the Twisted Hazel (Corylus avellana Contorta) tree. 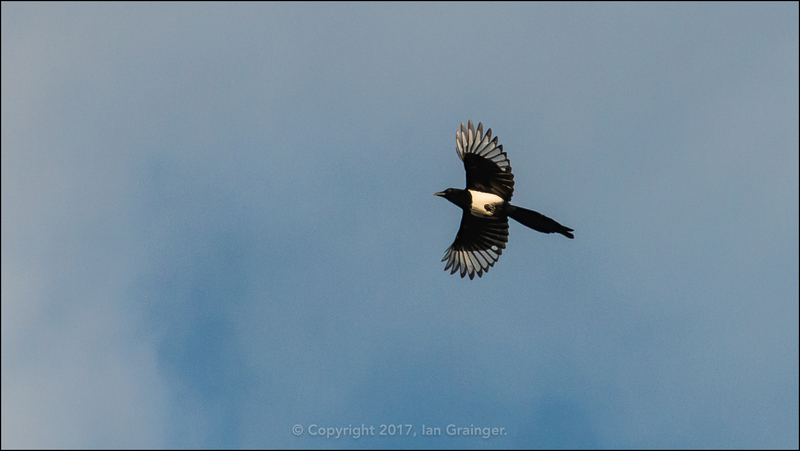 Continuing to look up, I spied this lone Magpie (Pica pica) winging its way across the sky. 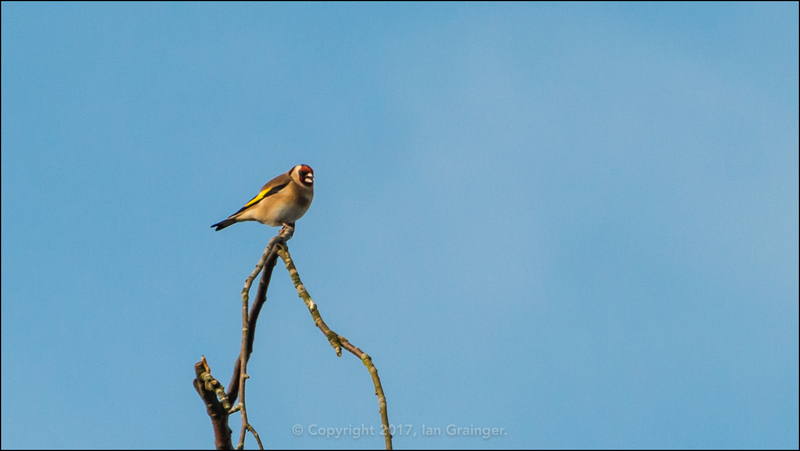 ...and this Goldfinch (Carduelis carduelis) were staying a bit too far away for my 300mm lens to get a decent shot of them. Finally, exciting news from my aquarium adventure! 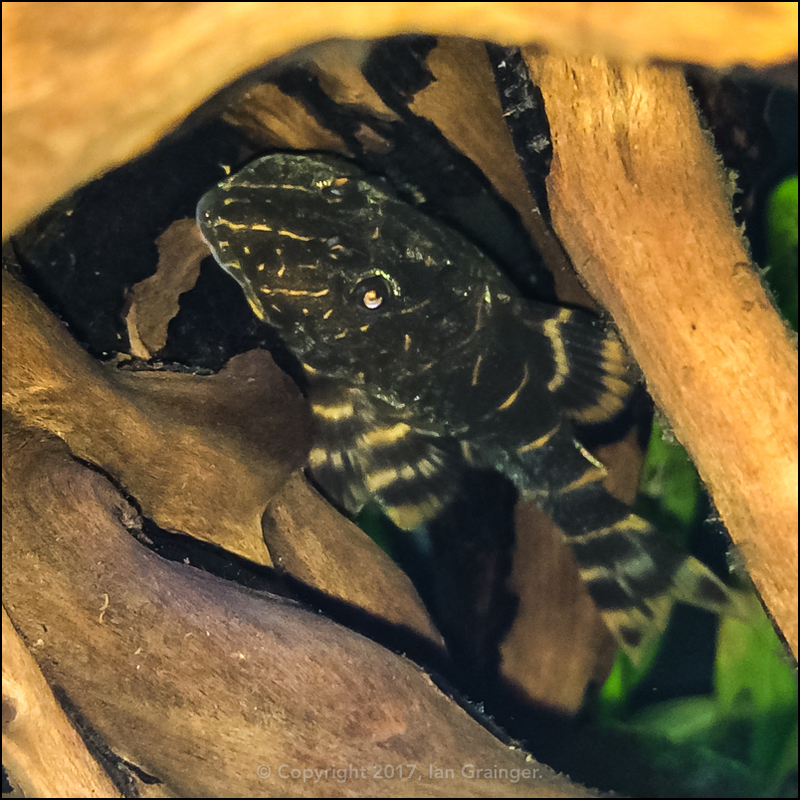 The only fish I have that I've not posted a picture of here before is my Clown Plecostomus (Panaqolus maccus). I've had him for over six months, but see him so infrequently, I sometimes forget he's in the tank. However, last week he stayed visible for just long enough for me to get a semi-decent shot of him with my iPhone. Isn't he beautiful?